The board tasked with resolving disputes between federal employee unions and agency management announced last week that it would review how it determines whether to award attorneys’ fees in some cases, renewing fears of politicization of the body. The underlying case involves a grievance filed against a Veterans Affairs Department medical center in Houston where an arbitrator found that management violated its collective bargaining agreement with the American Federation of Government Employees and awarded back pay, but denied attorneys’ fees, to employees, noting that the union contract does not provide such fees to a party that wins in arbitration. “The issues [in this case] include whether there is a need for the authority to reconsider its nearly exclusive reliance on the factors or criteria found in Allen v. U.S. 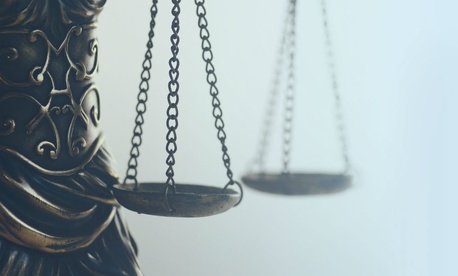 Postal Service when considering whether an award of attorney fees is in the 'interest of justice,' and then, if reconsideration is warranted, what the factors or criteria should be, as adapted for the federal collective-bargaining context,” the FRLA wrote. Since the 1980s, the FLRA and its arbitrators have relied upon the Allen Factors—a series of five criteria—when deciding whether awarding attorneys’ fees in arbitration cases would be “in the interest of justice.” They are described in detail in the agency’s arbitration guide, which was last updated in September 2016. The agency engaged in a prohibited personnel practice, such as disciplining an employee in retaliation for a previous grievance or appeal of adverse actions. The agency engaged in action that was “clearly without merit or wholly unfounded,” or the employee was found to be “substantially innocent” of charges brought by the agency. The agency’s actions were initiated in bad faith. The agency committed a “gross procedural error” which prolonged a proceeding or prejudiced the employee. The agency knew or should have known it would not prevail on the merits when it took action. The filing notes that previous members of the FLRA have suggested reconsidering its reliance on the Allen Factors. But the agency has come under recent scrutiny over its decisions under the Trump administration, including a lawsuit from the Federal Education Association accusing the FLRA of “unprecedented” and “systemic” bias in its decisions, based on a statistical analysis of the current membership’s first 94 cases. FLRA Member Ernie DuBester, the lone Democratic appointee at the agency, issued a dissent to the decision to review the Allen Factors, arguing that the criteria are not even relevant to the case in question.